Problem Solving: This is real life. Real life is not a bed of roses. Real life is not like a fairy tale. Real life constantly brings problems our way. Therefore, we need to learn how to deal with them, because ignoring them will not make them go away. We need to learn to think things through and figure things out. We need to learn to do this without getting “frazzled.”What does this mean for parents? It means that when our children have problems in their younger years, that we don’t “come to the rescue” every single time. There may be times that this is warranted, but we need to tell them to deal with it. Then we supervise, maybe offer some advice or steer them in the right direction. We shouldn’t just solve all of their problems for them. Teach them to think logically! Teach them to pray through them. Teach them HOW to solve problems and work through them without getting frustrated, impatient, angry or upset. Teach them to persevere! Multitasking: This is something that both I and my wife are constantly doing. I typically have Chrome open with an average of 15 tabs at one time. I have lists on my phone of things I want to do or need to do. I am a husband, a father of 8, a Pastor, an open air preacher, a graphic designer and I have another part-time job that I do that requires lots of multi-tasking. I receive dozens of emails/messages every week with people asking me Bible questions. When I open air preach, I am typically bombarded with questions from dozens of students at a time. My wife is a mother of 8, homeschools our children (I help), manages the home, cooks, cleans, oversees children doing chores, etc. If we weren’t good at multitasking, we wouldn’t make it in this world.Learning this skill takes time and practice, just like anything else. YET, we can help our children develop this skill by giving them several things to do at one time. Give them chores to do…lots of them. Don’t do it all yourself! You’ll just wear yourself out and turn them into spoiled rotten brats, who expect everything to be given to them. If they are having a hard time doing more than one thing at a time, teach them how to do it. Teach them how YOU do it. There is actually a game I play with my older children that help them develop this skill. It’s called Agricola. I encourage you to check it out. It’s a fun way of developing the skill of multitasking. Hard Work Ethic: I was just talking to my children about this recently. Hard work is actually a part of the curse, handed down from Adam’s disobedience. The Bible says that if a man does not work, he should not eat. If you look at the Proverbs 31 woman, she was constantly working. She worked late into the night at times and was up early working again. The Bible talks about working hard with your hands as a testimony to others. In my opinion, Christians should be the hardest workers out there, as we work unto the Lord and not unto men, as Colossians 3 says. If they don’t want to work hard, make them go watch ants for a while (Proverbs 6). You could also reward them when they do work hard, not reward them when they don’t work hard and reward others who work hard, in front of them. Finish What You Start: In our day and age, people typically seem to give up when the going gets tough. 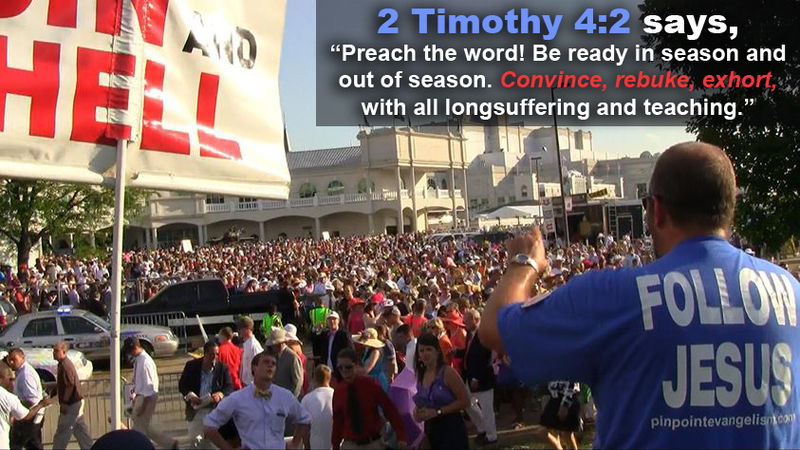 The Bible talks about Christians needing endurance in order to be saved in the end. Just because something is hard, doesn’t mean we give up. In my experience, the most difficult things in the world are the most valuable. We must learn perseverance in all things and this will help our faith, as well. Teach them to pray through until the end. Have them memorize Scriptures that are applicable to this. This will help them to understand, when the going gets tough, you don’t give up. Be Disciplined: Paul talks about Christians having discipline and how he needed to discipline himself in order to make sure he didn’t depart from the faith (1 Cor. 9:27). A disciple is not above his teacher and a disciple will, of necessity, be disciplined (<–just look at those two words). Having a disciplined life, that has good boundaries, good habits and a set schedule is a good thing! Having habits in this day and age is often looked down on as “too rigid” or even “legalistic”! It’s a good thing to have a set schedule, YET also being flexible as is needed. There is a balance! A Love for Reading: In our age of electronics and technology, books seem to be thrown to the side for things like videos games, hobbies, sports, social media, TV, movies, etc., etc. However, I deeply desire that my children will have a love for reading. I’d rather them read a good Christian biography that will edify their faith than sit in front of the TV. I’d much rather them learn something that will help them in a future occupation, then play around on the computer. I never had a love for reading, growing up. However, when I became a Christian, it’s something that seemed to change almost immediately. I began to read the Bible like crazy and began to read around 15-20 books a year. READING IS STILL IMPORTANT and I want my children to know that! Give them books about subjects that interest them. If you don’t know what interests them, you may want to get to know your children a little better. Give them books that will keep their attention. Read books to them! In my experience, children love this! All of this will help them develop a love for reading. Eating and Exercise Habits: Part of this is being educated on these issues. I want my children to know what different foods will do to them. I want them to learn moderation in things like sweets, carbohydrates, and processed foods. I want them to eat as healthy as possible and understand the benefit of physical exercise without becoming idolaters of their physical appearance. Why do I want all of this for them? I don’t want them to cut their lives short because of foolish decisions they have made. I want them to live as long as the Lord would have them to live, in order to bring forth as much fruit for God’s glory as possible. Of course, this means that I must model these things in front of them. I must eat a good diet in front of them – one that isn’t full of garbage. I must show them that exercise has some importance, BY EXAMPLE. I like teaching my children new exercises and they like learning about them! We also like FRIENDLY competition (that doesn’t get in the flesh)! It spurs us on and makes things fun. Have Fun: Life isn’t always about being serious. It is good to laugh at something, as long as we’re not laughing at sin. That would be wicked. Proverbs 17:22 talks about a merry heart being good medicine. Have fun with your siblings, your parents, your spouse and your children. It will make life easier. People need to especially learn to laugh at themselves, so they don’t fall into the trap of pride. One of my greatest treasures in this life is the happy times I spend with my children. I wouldn’t trade it for anything! Don’t be a “stick in the mud”! Be Organized: Being sloppy and unorganized makes life so much harder. When you are organized, you get more done and are more efficient in your efforts to work for the glory of God. It may be more difficult to get organized if you aren’t organized right now, but it will be worth it in the long run! I mean, who wants to be inefficient and live like a pig, anyway? We teach our children about this by teaching them to clean up after themselves and their siblings. Being organized comes much easier to some of my children (the OCD ones), but they are all able to be organized in their own way. When you work a whole day and are organized it is so much more fulfilling because you get much more done by the end of the day. Don’t get me wrong, I have and use technology. BUT, even I, a grown man of 40 years old and 21 years in the faith, must watch myself on such things. I have to make sure they aren’t a distraction to what is really important and that they don’t consume my life. I must practice moderation in such things. Well, that’s it. Those are 10 qualities I want all of my children to have in their lives, by the time they “grow up” and become adults. These are qualities we are working hard to instill in them, each day. There are definitely other things as well, but this is a good list for our family. May it all come to pass for the glory of God!! This video may also be valuable to you in some way. God Bless you as you watch! This entry was posted in Christian Living, Family and tagged christian children, Christian family, christian family values, Christian parenting, Christian Qualities, Christian skills, kerrigan skelly, PinPoint Evangelism, raising a christian family, raising a Godly family by Kerrigan Skelly. Bookmark the permalink.